Open your sound. Ideally suited for most genres, the Jupiter JTR1100Q in clear lacquer offers a bright and radiant sound. To enhance your projection, the JTR1100Q is manufactured with a bell wire - a feature only usually present on much more expensive trumpets. To ensure your tone stays open and radiant, the leadpipe has been reversed to open less resistance. Say goodbye to using valve oil every time you use your instrument. Crafted from a mixture of nickel and copper, the monel valves offer the most resilient and smoothest action around. The monel valves combined with the nickel silver slides produce a trumpet that will last for years with minimal maintenance. 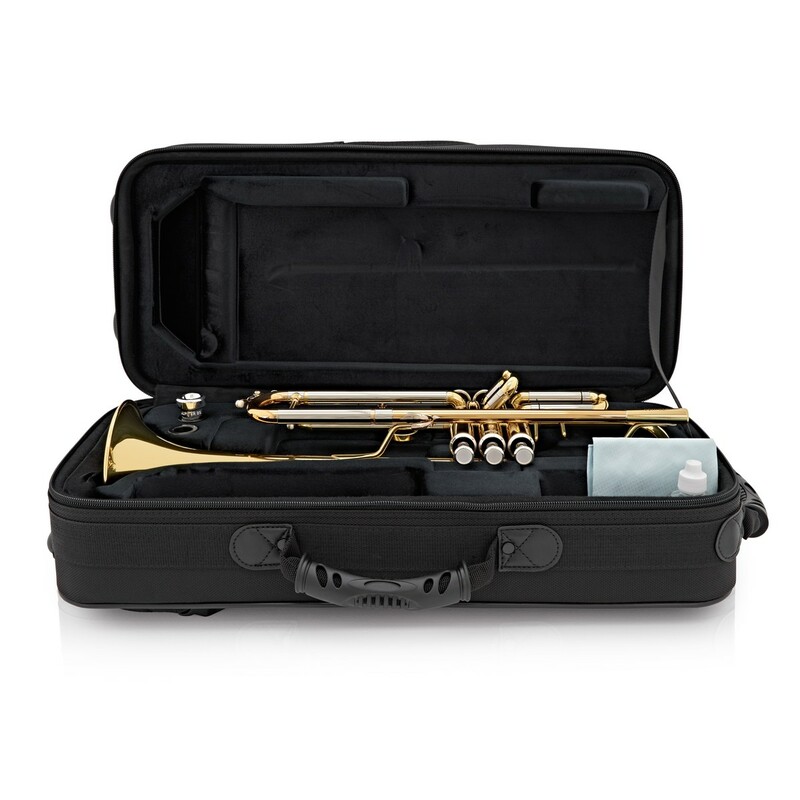 Included with the Jupiter trumpet is a lightweight case and mouthpiece so you can start practising straight away. 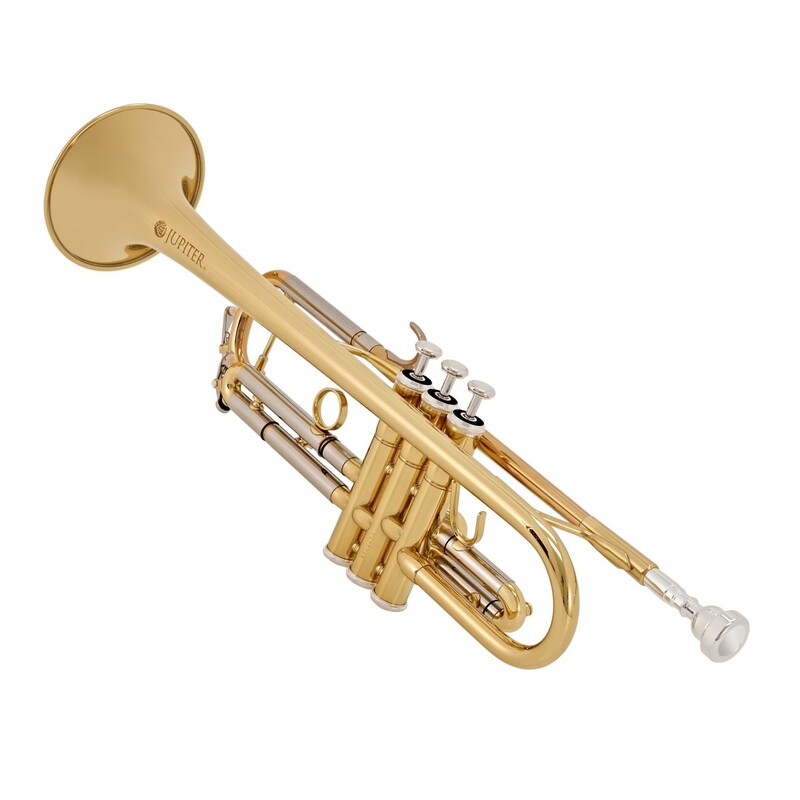 This Jupiter JTR1100Q trumpet is designed to provide you with a large, open tone - ideal for any musical setting. 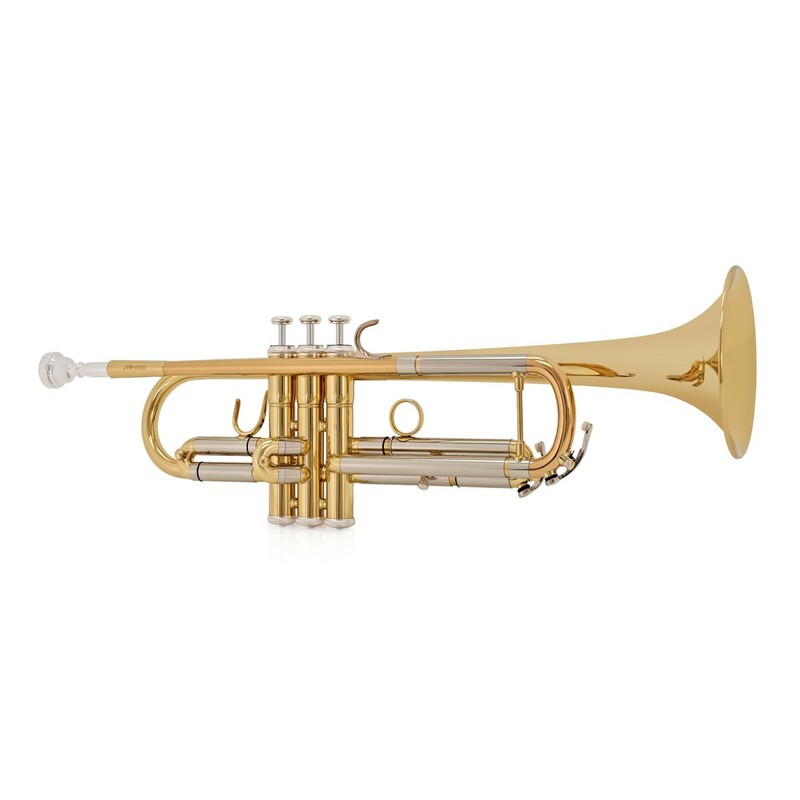 Similar to professional trumpets, the valves in the JTR1110RQ are crafted from monel. Monel is a nickel and copper alloy that is used by the majority of premium instruments. This is because monel valves are very dense and are more resistant to corrosion, meaning they won't flake and are less likely to seize up. 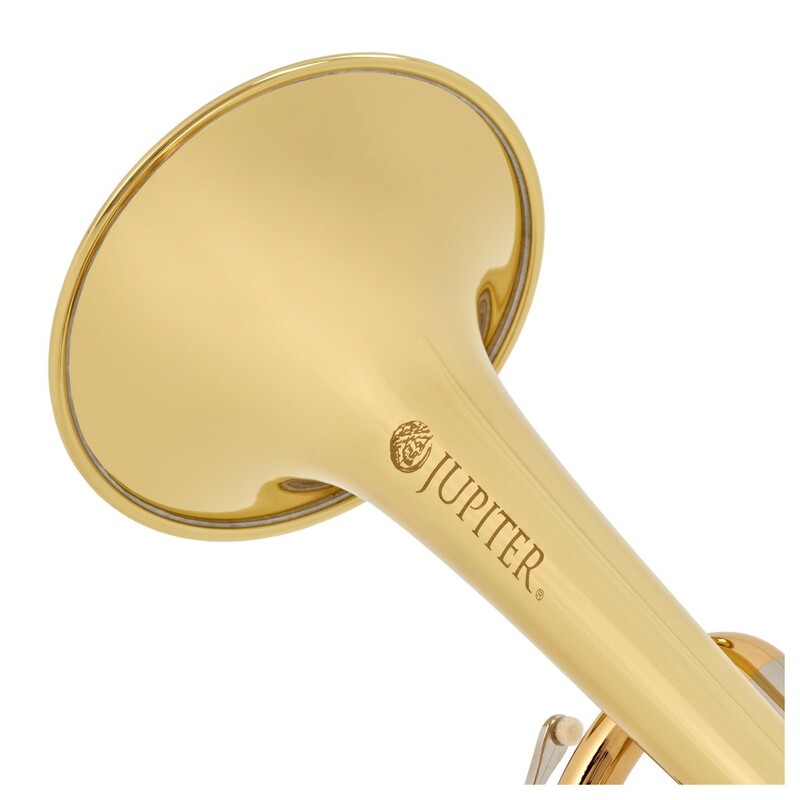 Similar to other Jupiter trumpets, the outer slides on the JTR1100RQ are made from nickel silver as they are resistant to corrosion. For an additional touch of luxury, the leadpipe, tuning slide are made from quality rose brass. Rose brass is popular among orchestral players for its ability to achieve much darker sounds than yellow brass can. This is because rose brass contains a higher amount of copper than yellow. To ensure you can always correct tuning, the first and third valve slides have finger saddles which move freely and effortlessly. Unlike other trumpets at this price, the JTR1100Q trumpet features a reversed leadpipe that will open up your sound. By having no narrowing in the tuning slide means your air path is uninterrupted which is better for loud volumes. These key attributes are enough to motivate and inspire you to want to perfect your skills and musicianship. Jupiter's lightweight case offers a practical design that is easy to carry. 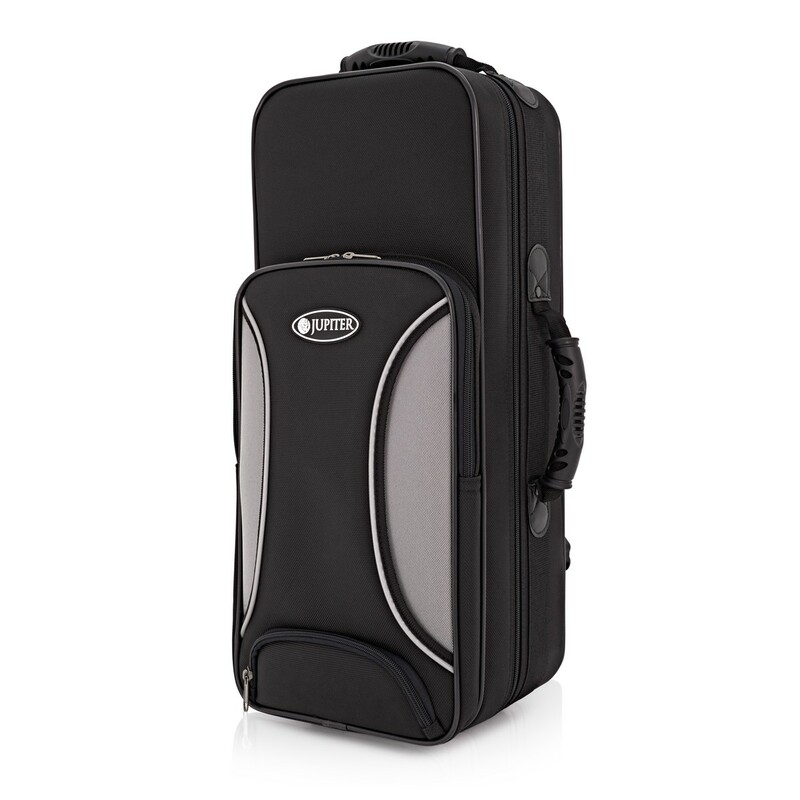 Whether you're going to rehearsal, gigs, or concerts, this case will protect your trumpet from scratches and knocks. The dense case will keep your instrument looking, feeling, and sounding like new for longer. Also included is a mouthpiece so you can start playing straight away.